Great Service, lovely clean castle. Thank you Geri for coming to measure up before we booked. Kids had a great day!!! Chase and his friends in Paw Patrol have been massive this year and looking like their popularity will remain strong in 2019. One of our best hires. The kids adore the cartooned themed bouncy castles. All sizes are approximate. 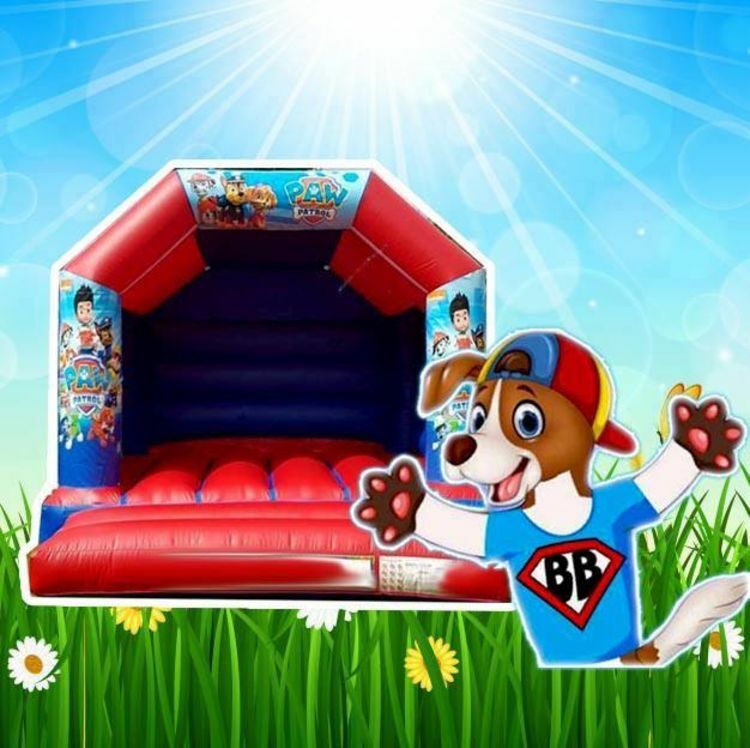 Bouncy Castles will require extra room at the front back and sides to allow for blowers and crash mats ECT. It is your responablity to check the proposed site is large enough to accomodate the entertainment you have booked. As a general rule you must allow 4 ft (122cm) at the back 4 ft (122cm) at the front and 2 ft (61cm) down each side so a 12 x12ft (366x366cm) bouncy castle will require 16x20ft (488x610cm) clear to be set up correctly. Bounce Buddies Wakefield reserve the right to refuse any booking made if the proposed site of the castle is not big enough to accommodate it or is unsuitable and you will still be charged.